Melissa Shoes are generally true to size. 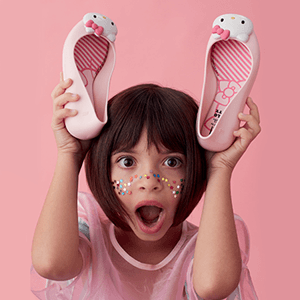 Melissa shoes are made to fit your foot snugly. We recommend that if you are in anyway unsure to go up a size. We base all of our sizing on UK measurements. Our footwear is produced in Brazil so you will find this and the European measurements on the sole. The size guide below provides the direct conversions. Please, also take note of the Facts + Fit box shown on each individual product page where you will find further sizing guidance relating to each individual style. 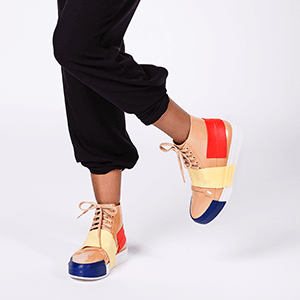 The first ever Melissa + Vivienne Westwood trainer is here! 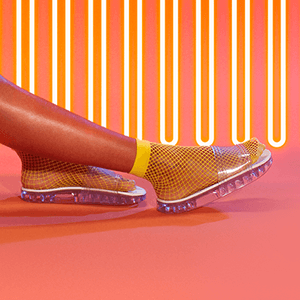 The Brighton Sneaker follows the awesome Sports Luxe trend, with super cool cut out detail, padded footbed and lace up design, we are sure these will be a sell out! A subtle Vivienne Westwood Orb has also been embossed to the side of shoe. Seen here in Blue. We ship to many countries worldwide. UK orders will be despatched by Next Day Delivery. Other orders should arrive within 7 working days of despatch. Full information on our Shipping policy is available here. Full information on our Returns policy is available here. ...MAYBE YOU WANT THESE AS WELL? Join NONNON and get 10% OFF your next order! Copyright © 2019 by nonnon.co.uk. Website designed by Weblegs.co.uk.